Access live and recorded video remotely via iOS and Android apps. All camera setup and control can be done through the apps, no PC required. You can even save a still image of your video to your mobile device. View or record video up to HD 720P at 20fps. Video records to microSD Card (8GB included). Supports up to 32GB microSD Card. Night vision range up to 25ft. Receive push notifications and/or email alerts when motion is detected. Optimized motion detection range is 6-18 feet for the camera. 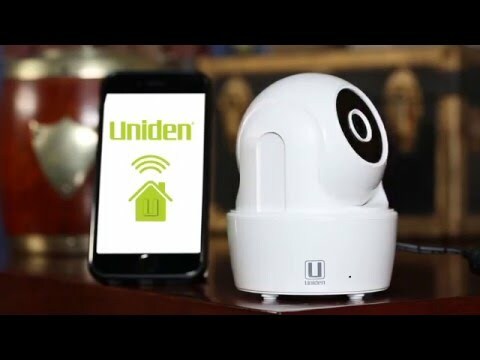 Cameras connect wirelessly via WiFi b/g/n. Simply plug camera into any AC power outlet. No computer is necessary for your camera to work or for you to watch your video. Download the app and follow the directions to connect your camera to your mobile device and set up the network.